Happy Birthday Virat Kohli: Skipper and run machine Virat Kohli on will be celebrating his 30 birthday. On the big day, cricket and Virat Kohli fans from across the country extended their wishes. The Delhi boy, who took the Indian cricket to the sky, has registered his name in the list of greatest cricketers in a very short period of time and scored more than 1202 runs. 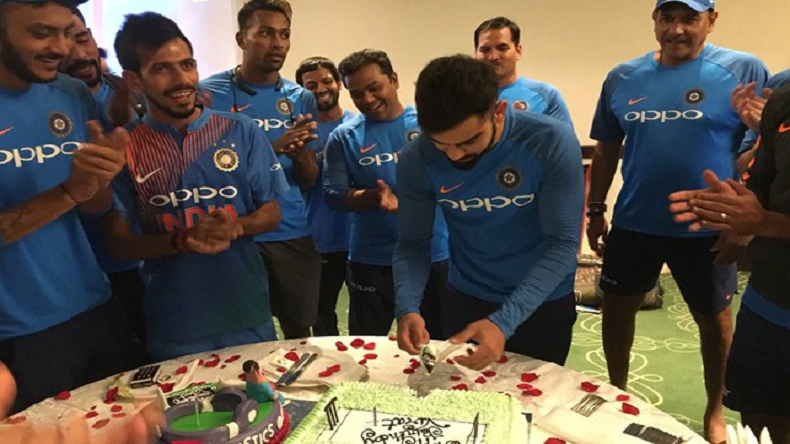 Team India skipper Virat Kohli on Monday, November 5, turned 30 and his fans from across the country extended wishes to the run machine. The Delhi boy, who took the Indian cricket to the sky, has registered his name in the list of greatest cricketers in a very short period of time. Virat Kohli has scored 1202 runs at an average of 133.55 in 14 innings this year. According to the reports, Virat Kohli and Anushka Sharma will be celebrating the special occasion together in Haridwar. The reports further added that Virat and Anushka Sharma landed on the Jolly Grant Airport in Dehradun on Saturday night and made their way to the Hotel Aananda in Narendra Nagar, and both of them are expected to stay in the holy city till November 7. Mr and Mrs Kohli will be celebrating the special day the Maharaj Anant Baba’s ashram, who is Anushka’s family’s spiritual guru.